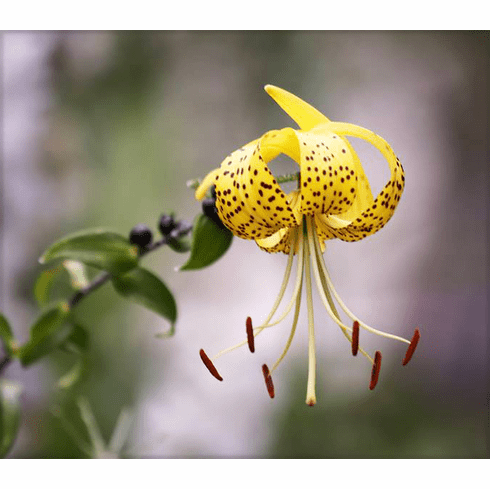 Found in 1933 by Makino, it is said to be of "weak growth" but has played a large part in the breeding of yellow-flowered 'tiger type' Asiatic hybrids by David Stone and Henry Payne in Connecticut, the most famous probably being 'Nutmegger'. Photo copyright Paddy Pamee, all rights reserved. Used with permission.